The winter school holidays can prove a challenge – how can you entertain the kids when the weather won’t play nice? And how many times can they possibly whinge that they’re bored and hungry (I like to refer to it as ‘bungry’). Here’s a plan for some school holiday fun that involves feeding both their minds and bellies. Even if your kids are pretty good eaters, you’ll probably find that some days they aren’t hitting their target of two fruit and five veg a day (in fact only five per cent of Aussie kids aged between two and 18 meet the guidelines). Why not set aside a smoothie day to create a bunch of great fruit and veg-loaded drink options for the kids? Whatever they don’t drink, can be frozen into cubes for use on another day. While it may be the buzz food of the moment, there is good reason that kale has garnered a cult following – it’s one of the most nutrient dense foods on earth. But your kids probably turn up their nose at it! 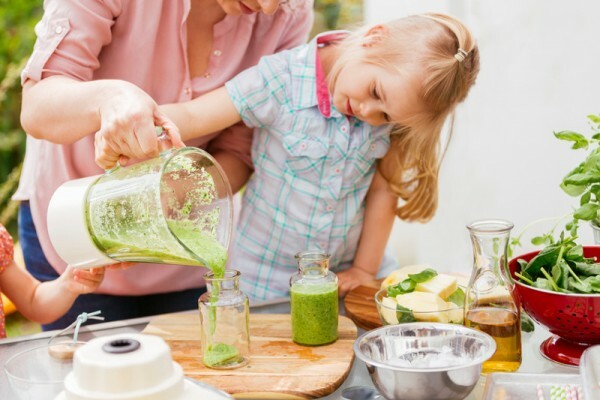 If you put it in a smoothie with other green ingredients you end up with a bright green drink that the kids are more likely to try – especially if they had a hand in making it. Adding a carrot to fruit juice will give it a hit of beta-carotene, which the body can covert to vitamin A to help vision, growth, development and the immune system. It’s a great winter boost! Pop some yoghurt into the kids’ smoothies for a generous helping of protein, calcium and probiotics to keep little tummies in tune. If the kids are keen on a berry smoothie, sneak a bit of raw beetroot into the mix. They won’t even notice the flavour but the colour will be rich and they’ll get a little extra vitamin hit. A natural flavour booster, these little kernels are a bit left of field, but they’re great to try for something different. Popeye was onto a good thing with his spinach obsession. Packed full of vitamins, antioxidants and minerals the kids won’t notice a few leaves in their green smoothie. Even better, camouflage it with some strawberries or banana. And here’s a tip – it’ll work when adding kale too! So where does Disney Pixar’s Finding Dory fit into all this? Well, that sweet little blue tang is the mascot of these winter school holidays – with just about every child in Australia popping the movie on their to-do list. 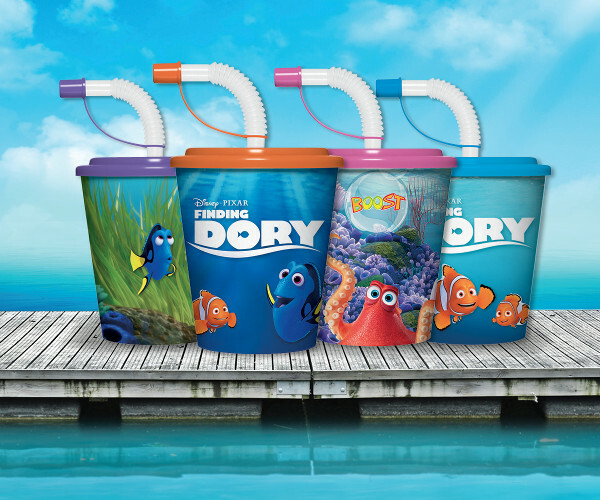 Boost Juice has released a range of collectible kids’ cups adorned with our fishy favs, including Dory and Nemo. Grab a Boost Juice in a collectible Disney Pixar Finding Dory cup from your local store for a child-sized treat, and head to the movies to enjoy. Then you can reuse the cup again and again to make your own smoothie and juice treats at home. When you purchase one of these limited edition cups, the kids will get an exclusive prize and free children’s entry into any Sea Life aquarium with any adult ticket purchased – there’s another day of the school hols sorted! For more information, head to Boost Juice.